Dogs are some of the most lovable animals on the planet. They are extremely loyal and are always happy to see you. If you are in need of friends then go and get yourself a dog and you will have an instant friend who will always love you (as long as you feed it). Because of how lovable dogs are, it is important that you love them back. Dogs need to be cared for and given shelter, food, and water. Not only that, your dog needs to be cleaned up after in order for it to stay healthy and for you to not get in trouble. Dog poop in unwanted places can bring with it some pretty undesirable consequences. When you take your dog for a walk and it poops on someone's lawn, you should not just leave it there. Not only is it very impolite to do such a thing, but it is also very illegal. Some states will fine you a couple hundred bucks if they catch you doing this. In order to avoid this situation, you should get some dog waste bags that you can carry around with you and use in case of this event. Dog poop bags are great because they are easy to carry around with you and once you have cleanup up the doo-doo you can just seal off the bag and throw it away. They are very inexpensive to buy and very easy to store. If you own a dog then you probably own dog waste bags. Just like your baby needs its diapers, your dog needs dog waste bags. They are a simple and efficient way to clean up after your dog. The nice thing about the poop bags is that once you get the poop in the bag, you can tie it shut and throw it away, without having to smell it sitting uncontained in your hot garbage can. The other beauty of a dog poop bag is that most of them are now biodegradable. This is good because a typical plastic bag can take thousands of years to decompose at a dump. 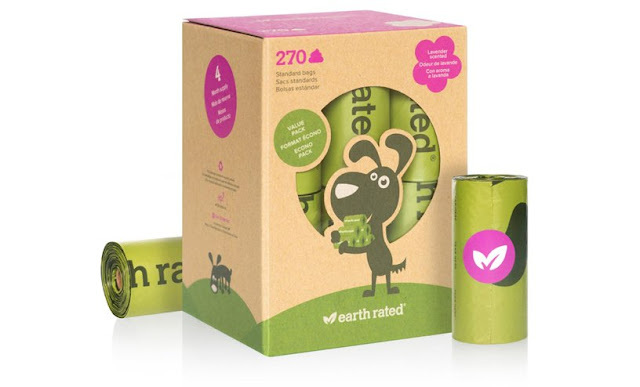 A biodegradable dog waste bag, on the other hand, will decompose in approximately three years. Dog waste bags have become so popular because they are so easy to use. You don't have to go into the garage to get a shovel or wash off whatever tool it is that you usually use. They lock in odors so your garbage doesn't stink, and they're an easy way to pick up the poop without smearing it all over your lawn. If you have a dog and you haven't tried a doggie poop bag out yet, give them a try and see what you're missing. They are so small and convenient that they are the only answer to cleaning up after your dog on a walk. So give the doggie bag a try and see if it's what you want to use from now on. Dog waste bags are also a great accessory to any dog. Just like you want a cool new colorful case for your iPod, you're going to want some cool new colorful dog poop bags as well. They come in all different colors such as black, red, pink, yellow, orange, purple, blue, and green. And if you want to accessorize your accessory, you can get dog poop bag dispensers in the shape of a bone! The options are endless really. If you want to buy this product., I highly recommend you purchase online through Amazon at this link. It's Exclusively at Amazon, currently on sale here only through Amazon.